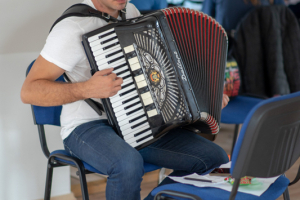 The aim of the FOLKcoolTOUR project is keeping the traditions, developing the culture and folk art as a tourist attraction, popularizing and making cross-border cultural programs, as well as streghtening the Serbian-Hungarian connections. 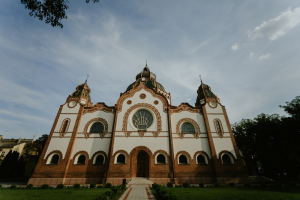 The developing of the Saint Sava Community Center in Deszk and the processing of the former generations’ written memories are the part of the project. Project Opening Event – Walking in Subotica, 31. 03. 2018. Egg Bumping European Championship, 08. 04. 2018. 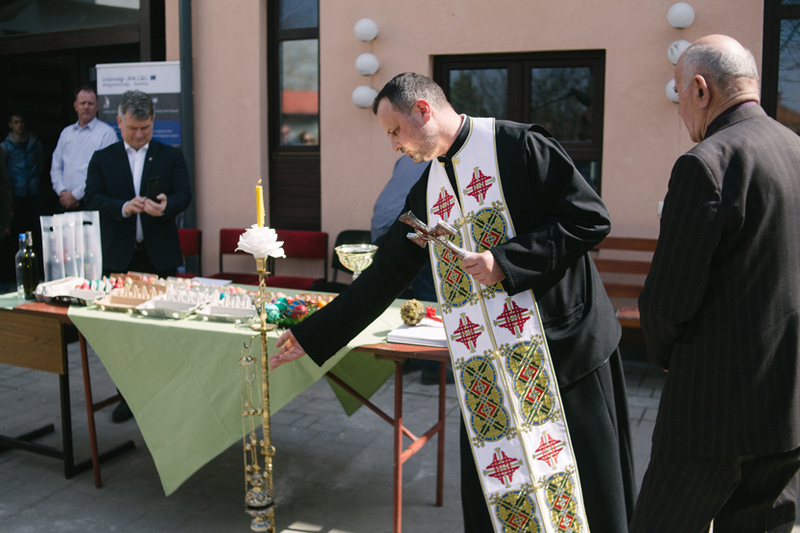 Project Opening Ceremony of St. Sava Centre, 12. 05. 2018. Walking in Subotica / Houses of Arts, 08. 06. 2018. Talentum Folk Dance Camp, 23-29. 06. 2018. Bánát Folk Dance Camp and Folklore Festival, 13-19. 08. 2018. Walking in Subotica - Meetup of senior folk dancers, 25. 08. 2018. 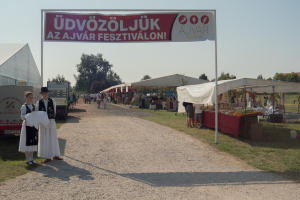 Ajvar Festival / Ajvariada, 08. 09. 2018. Koreográfia 0-24 verseny, 2018. 11. 2-3. Children’s Solo Dance Competition, 10. 11. 2018. Project closing event with press conference, 27. 12. 2018. 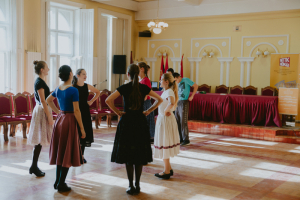 \"Walking in Subotica\", \"Houses of Arts\"
In Vojvodina, there are several well-performing folk dance workshops where instructors work with excellent talents. 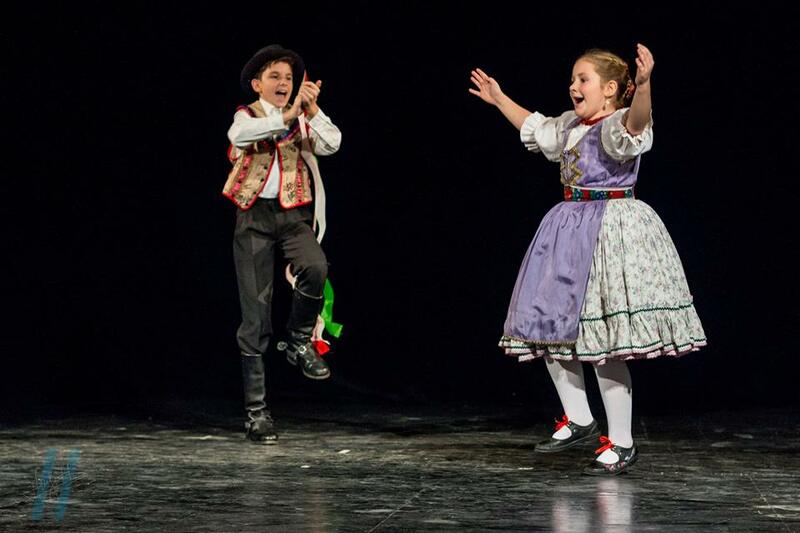 The aim of the Children’s Solo Dance Competition is to deepen individually the culture of the Hungarian folk dance culture of the Carpathian Basin, to motivate the students and to acquire relationship abilities, formal and dance skills and improvisation and even the instructors to use various types of education and motivation techniques. All these contribute to the children’s advance of their self-confidence, expressivity, self-initiative and creativity and encourage them to initiate and create independently instead of using “ready products”. --- This video has been produced with the financial assistance of the European Union through the Interreg-IPA Cross-border Cooperation Programme Hungary-Serbia. The content of the video is the sole responsibility of FOLKcoolTOUR projekt (HUSRB/1602/31/0154) and can under no circumstances be regarded as reflecting the position of the European Union and/or the Managing Authority of the Programme. 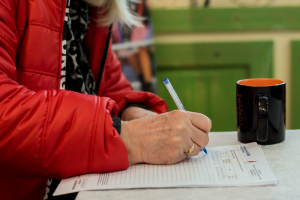 The cooperation between the “Bánát” Serbian Cultural Association from Deszk and the Talentum Art Association from Subotica began this year within the FOLKcoolTOUR project. The joint programmes were realized due to a successful EU funded project that was financed by the Interreg-IPA Cross-border Cooperation Programme Hungary-Serbia. 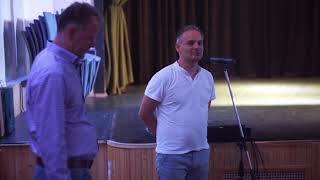 Closing conference held in the “Kosztolányi Dezső” Theatre in Subotica with Krisztifor Brczán (pres. of “Bánát” Serbian Cultural Association, Deszk), Roland and Tamara Brezovszki representing the Talentum Art Association from Subotica, and Csaba Kunstár, project manager. We are proud to present our short film about FOLKcoolTOUR project. 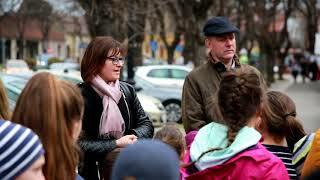 The aim of the FOLKcoolTOUR project was and is to preserve traditions, strengthen culture and folk art as tourist attractions, implement and popularize cross-border cultural programs, and strengthen Serbian-Hungarian relations. The project includes the improvement of St. Sava Community Centre in Deszk, as well as the processing of the written memories of previous generations. The project was co-financed by the European Union. --- This video has been produced with the financial assistance of the European Union through the Interreg-IPA Cross-border Cooperation Programme Hungary-Serbia. The content of the video is the sole responsibility of FOLKcoolTOUR projekt (HUSRB/1602/31/0154) and can under no circumstances be regarded as reflecting the position of the European Union and/or the Managing Authority of the Programme. On the Saturday night of 3rd November 2018, the guests of Banat Serbian Cultural Association from Hungary, Serbia and Romania had high jinks. 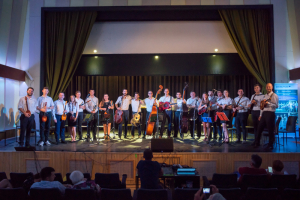 Before the 24th Banatski Sabor, it was the first time to present ‘Koreográfia 0-24’ programme of FOLKcoolTOUR project, supported by Interreg- IPA CBC Hungary-Serbia, the innovative folk-cultural event was inspired by project partner Talentum Art Association of Subotica. 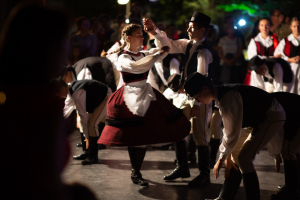 Previously on Friday evening, for the choreographers of the competing ensembles from Kraljevo, Backa Topola and Deszk, the folk regions (Shumadija, Banat and Leskovac )and the teams mixed of the ensembles were drawn; the newly merged formations had 24 hours to compose a 15-minute folk-dance program for the Saturday evening show. All three teams with about 60 dancers have produced a very high-quality program proving that fantasy, creativity and living in the magic of traditions allows to create high-standard productions in such a short time. At the end of the competition, three winners were announced from three choreographers and dance groups, but the absolute winner was clearly the audience, full house rewarded with standing ovation and applause. Banatski Sabor is a traditional event to introduce bands and singers playing Serbian music, this time 15 teams from Timisoara, Nagyszentmiklós, Szenttamás and Belcsény were arrived besides Rácalmás, Tököl, Mohács, Dunaújváros and Deszk played a total of 140 tracks. Soloists and duets, choirs with or without accompaniment, tambourine, accordion and mixed bands entertained the audience for two hours. The agelessness of folk music is evidenced by the presence of a 6-year-old and nearly 80-year-old artist on the stage. The event was followed by dinner and inevitable dance house, the feeling that \'Choreography 0-24\' program is a new tradition remained. Past in the present, to continue next year. --- This video has been produced with the financial assistance of the European Union through the Interreg-IPA Cross-border Cooperation Programme Hungary-Serbia. The content of the video is the sole responsibility of FOLKcoolTOUR projekt (HUSRB/1602/31/0154) and can under no circumstances be regarded as reflecting the position of the European Union and/or the Managing Authority of the Programme. In 2018, the 35. 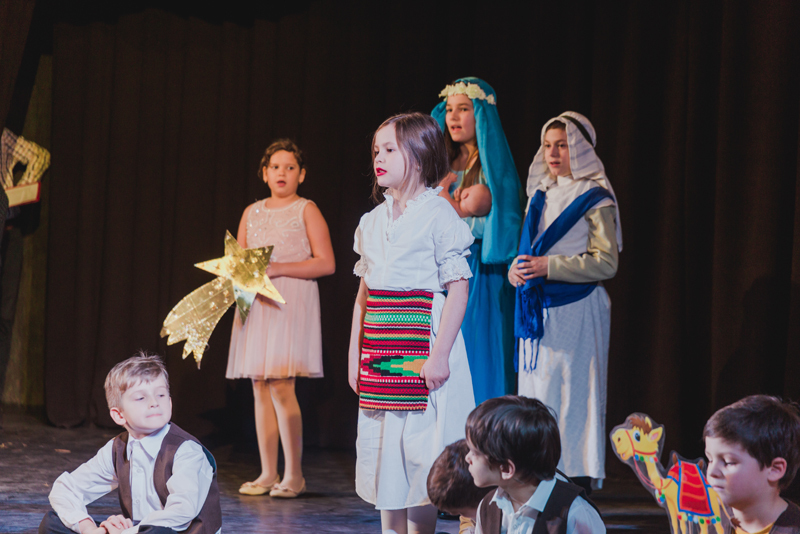 Orthodox Christmas celebration was held in Deszk by the Serbian community, this time with the participation of 110 dancers and musicians, across the border. About 250 attendants enjoyed the long program in which all ages were represented, with vocals, music, drama and dancing. The organization of the Serbian Orthodox Christmas celebration is traditionally the responsibility of the association, this year a high-quality music-dance composition embedded to present FOLKcoolTOUR project ‘Folklore and Culture and Touristic Attractions - Hidden Values and Treasures’ in the cooperation of Bánát Association and Talentum Art Association of Subotica, supported by the Interreg-IPA Cross-border Cooperation Programme Hungary-Serbia program, between 01.01.-31.12.2018, co-financed by the European Union. Its aim is to develop tradition, culture and folk art into a diverse, cross-border, real value tourist attraction, to introduce the hidden treasures to the general public through a number of large-scale joint cross-border joint programs. The project also includes the development of the St. Sava Community House in Deszk, exploring the memory of the ancestors and turning it public, preserving and passing on folk culture to other communities, all generations. --- This video has been produced with the financial assistance of the European Union through the Interreg-IPA Cross-border Cooperation Programme Hungary-Serbia. The content of the video is the sole responsibility of FOLKcoolTOUR projekt (HUSRB/1602/31/0154) and can under no circumstances be regarded as reflecting the position of the European Union and/or the Managing Authority of the Programme. The press release launched FOLKcoolTOUR ’Folklore and Culture as Touristic Attractions - Hidden Values and Treasures’ (HUSRB / 1602/31/0154) project supported by Interreg-IPA Cross-border Cooperation Programme Hungary-Serbia to introduce the project for the representatives of the Serbian regional press. The project will be implemented in cooperation between the BÁNÁT Serbian Cultural Association of Deszk and Talentum Art Association of Subotica, between 1st January and 31st December 2018, co-financed by the European Union. Its aim is to develop tradition, culture and folk art into a diverse, cross-border, real value touristic attraction, to introduce the hidden treasures to the general public through a number of large-scale cross-border joint programs. The project also includes the development of the St. Sava Community Center in Deszk, exploring the memory of the ancestors and making it public, preserving and passing on folk culture to other communities, all generations. 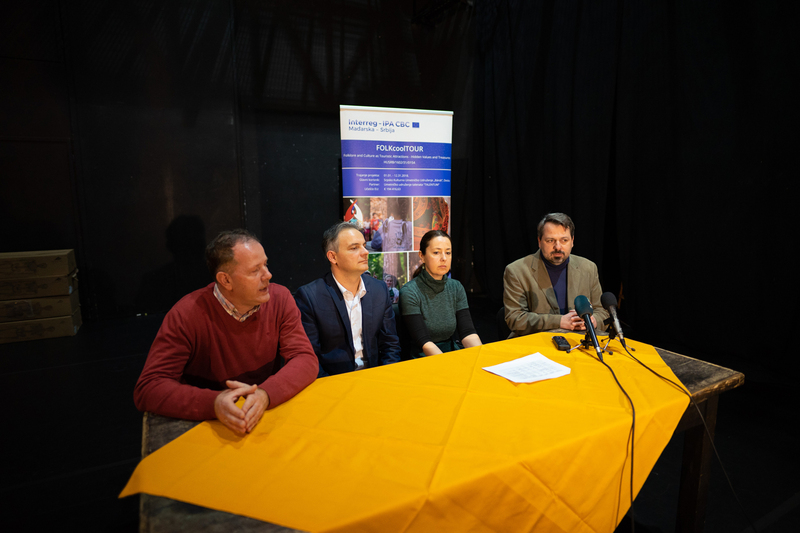 --- This video has been produced with the financial assistance of the European Union through the Interreg-IPA Cross-border Cooperation Programme Hungary-Serbia. The content of the video is the sole responsibility of FOLKcoolTOUR projekt (HUSRB/1602/31/0154) and can under no circumstances be regarded as reflecting the position of the European Union and/or the Managing Authority of the Programme. 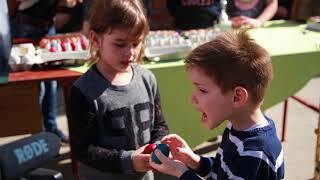 With egg bumping, an old Serbian Easter tradition has been revived since 2008 organized by BÁNÁT Serbian Cultural Association, and since 2011 it was the eighth \"European Championship\" (typically guests from many countries arrive for the event). In the Serbian community, after the Sunday Holly Mass, people meet and play with cooked and painted eggs in a playful time: the one who owns intact egg wins. There are three races: bumping, rolling from a bakeboard and breaking them with coins. In the first race the upper is bumped to the lower in the other’s hand and the broken one’s owner looses, the number of winners is constantly decreasing until only one remains. Other race is rolling the eggs to each other - one stands at the bottom of the bakeboard, the other is at the top of it, then it is let roll off to the other and one of them is crashed. The intact is the winner, similarly to the third race when the eggs are tried to be crashed by coins. The winners take one round forward and finally only one stands. This year, a six-year-old girl won the race and became the Champion! The carefree festive occasion is accompanied by folk music and dance, traditional Easter food and drink offer, with sprinkling and Egg Beauty Contest. Our guests and competitors come from Serbia and many European countries. --- This video has been produced with the financial assistance of the European Union through the Interreg-IPA Cross-border Cooperation Programme Hungary-Serbia. The content of the video is the sole responsibility of FOLKcoolTOUR projekt (HUSRB/1602/31/0154) and can under no circumstances be regarded as reflecting the position of the European Union and/or the Managing Authority of the Programme. 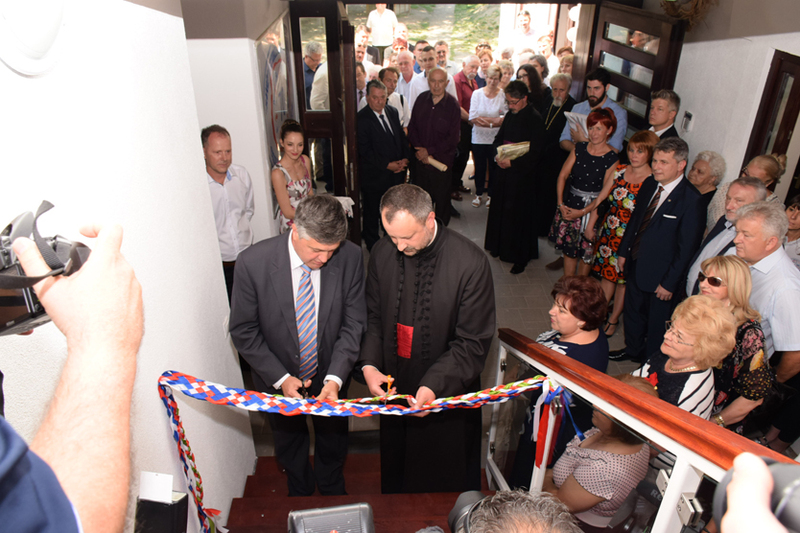 The public project opening event of FOLKcoolTOUR project (HUSRB/1602/31/0154) was held on 12 May 2018, which had two apropos: the (re)construction of upper floor of St. Sava Educational Cultural and Faith Centre was completed and inaugurated. 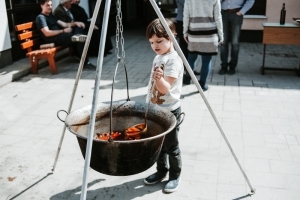 The wok was supported by Interreg-IPA CBC Hungary-Serbia Programme and the government of Hungary, in about 257 m2 and it will be used by the community and the public to serve educational, cultural and religious purposes in the future, as base of cultural tourism cross-border programmes. The ceremony was honored with the presence of numerous representatives and leaders of the Serbian National Self-Government of Hungary, the Ambassador of the Republic of Serbia, priests of the Serbian Orthodox Church, representatives of Subotica project partner Talentum Art Association and the members of the local and Serbian community, old and new friends, the present and the former members of the Association and the Folk Dance Group. The blessing ceremony by priests of Deszk, Szeged and Battonya was followed by speeches and remembrance of the decades and events of the local Serbian community by the mayor, the President of the Association with acknowledgments to the supporters. The other apropos was the 70th birthday of the Banat Serbian Cultural Association to celebrate with dignity but cheerfully with our former senior and present members, our guests and our friends from Hungary, Serbia and all over Europe. --- This video has been produced with the financial assistance of the European Union. The content of the video is the sole responsibility of FOLKcoolTOUR project (HUSRB/1602/31/0154) and can under no circumstances be regarded as reflecting the position of the European Union and/ or the Managing Authority. 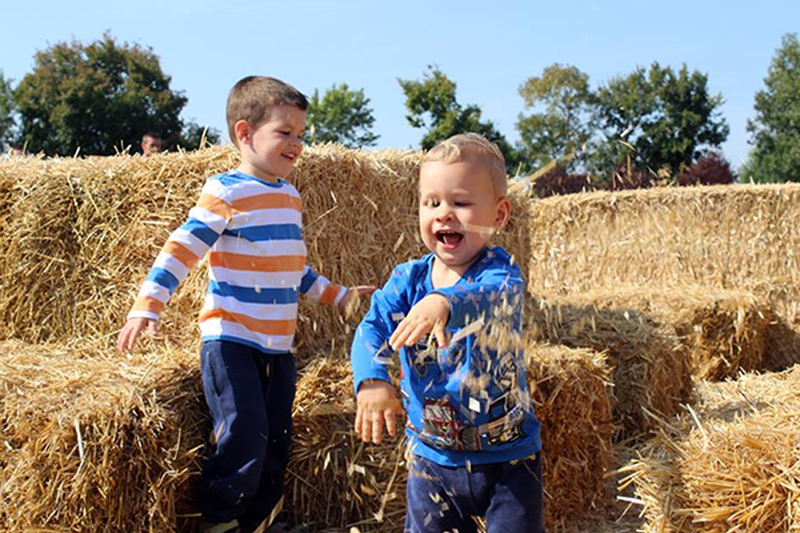 On July 7, 2018, Harvest Feast and Dadale events were organized by Lead Beneficiary Bánát Serbian Cultural Association. 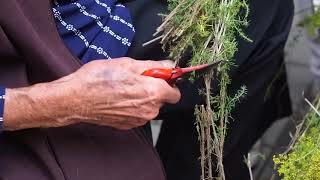 The events took place in the St. Sava Educational, Cultural and Faith Centre, Deszk and the traditional manual harvest in the morning was unfortunately cancelled due to stormy weather. Two other programs were presented at the day of traditions, the Ivandan (Ivan-day wreath) and the rain-inviting traditional game, Dadale. 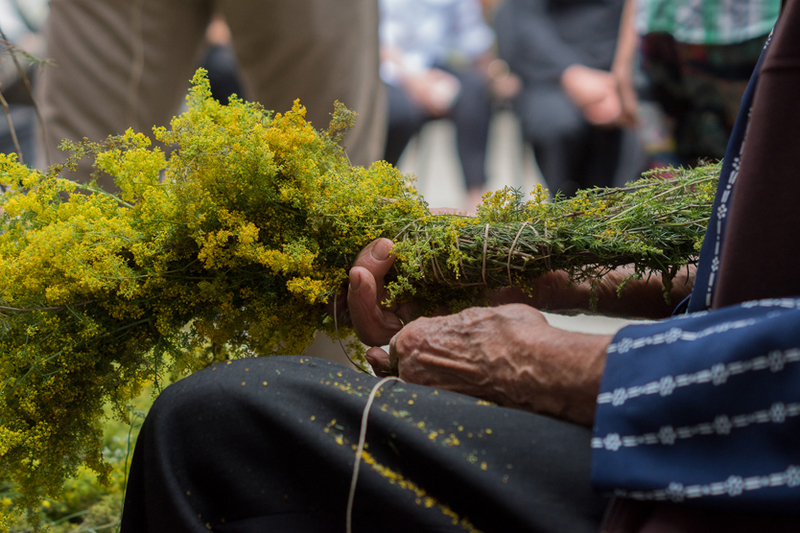 Every year, around the summer solstice, the Ivanski venac was created, the wreath was made of yellow bedstraw (Ivanjsko cveće, Galium verum) with a special weaving method which, unfortunately, is less known nowadays. The wreath hanged on protects the member of the family behind the door or gate from bad luck, lightning strikes, misfortune, harmful spirits, it is believed to keep them away from the house. Dadale is a group play to invite the rain where the participating children help the farmer to get enough rain and have wealthy crop of fruits and vegetables for the family and market, by singing songs and dancing and at the end, they pour water to the person dressed in Dadale. --- This video has been produced with the financial assistance of the European Union. The content of the video is the sole responsibility of FOLKcoolTOUR project (HUSRB/1602/31/0154) and can under no circumstances be regarded as reflecting the position of the European Union and/ or the Managing Authority. 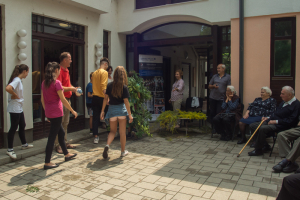 \"Houses of Arts\" and \"Walking in Subotica\" programs organized by the TALENTUM Art Association (Talentum Community House, Subotica, 8 June 2018) Two programs of the Association were organized by project \"Folklore and Culture as Touristic Attractions - Hidden Values and Treasures\" HUSRB/1602/31/0154 Interreg-IPA Cross-border Cooperation Programme Hungary-Serbia: interactive “roaming” in the world of (folk) art and getting familiar with the town and sights of Subotica. 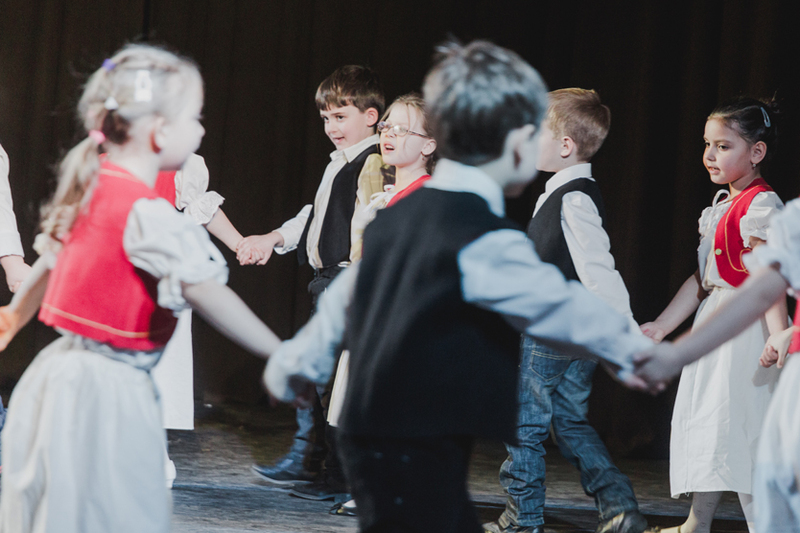 The first part of the day for the invited children from Deszk was accompanied by a special \"collaborative\" program \"Houses of Arts\" with the specialties of dance, music, traditions and theater, accompanied by experienced \"guides\". 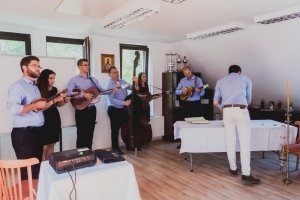 The folk music and instruments introduction of the Juhász Band presented the folk music world of the Carpathian Basin and it was possible to try to sound the instruments by joint music. It was followed by immersion in the world of dance, first with some theory, then learning easy steps and then more complicated combinations, finally common dance closed the door of “House of Dance”. Children could learn about the importance, preservation and survival of folk traditions in the next \"house”, the similarities and differences, the treasures that need to be preserved and passed on. As part of this, family and religious holidays were recalled with their origin, meaning and the messages they carry. 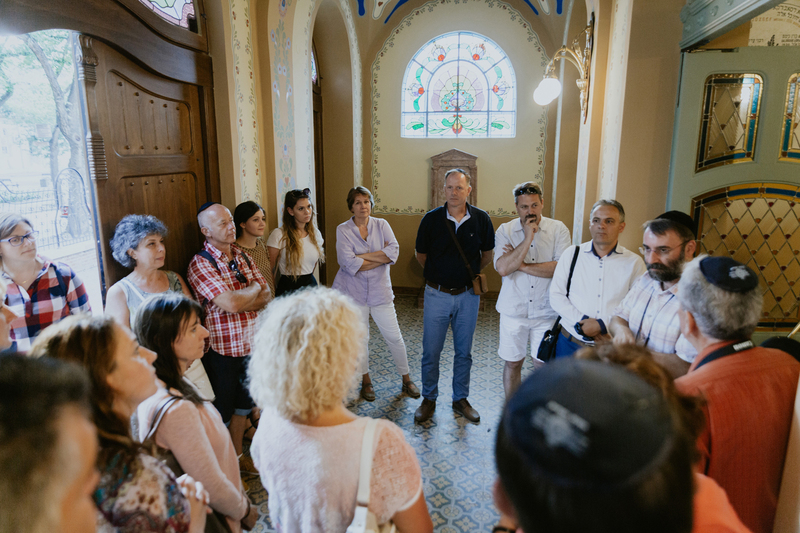 In the second half of the day, sightseeing tour of Subotica by feet happened where they were introduced by a familiar guide to the known and less-known sights, their stories, the spirit of the city. Full with experiences, useful and important knowledge the children went back home after a long day. --- This video has been produced with the financial assistance of the European Union. The content of the video is the sole responsibility of FOLKcoolTOUR project (HUSRB/1602/31/0154) and can under no circumstances be regarded as reflecting the position of the European Union and/ or the Managing Authority. 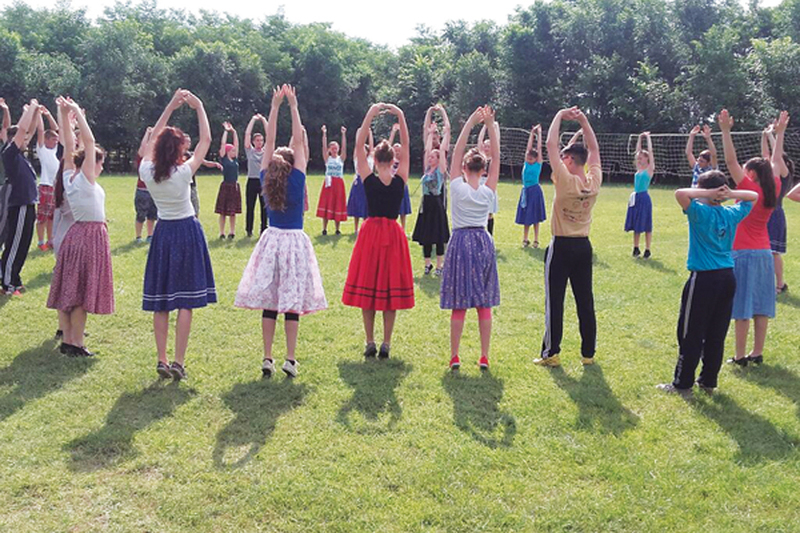 It was the sixth event of camp with about 130 children and junior dancers and musicians from Voivodina and Hungary participated the camp, learned folk music and dance tricks with the help and guidance of renowned and experienced instructors and artists. This time it was organized partly by the apropos of \"FOLKcoolTOUR: Folklore and Culture as Touristic Attractions - Hidden Values and Treasures\" project (HUSRB / 1602/31/0154) of Interreg-IPA Cross-border Cooperation Program They were taught by age groups of various dances of Rábaköz, Szucság and Kalocsa, while the young musicians drew from the folk music traditions of the Carpathian Basin. Additionally, the six wonderful days were filled with tireless and free camp days with new friendships, common meals and continuous programs for the preservation of traditions: craftsmanship, archery, theatre and music performances and in the evenings with folk dance and music. 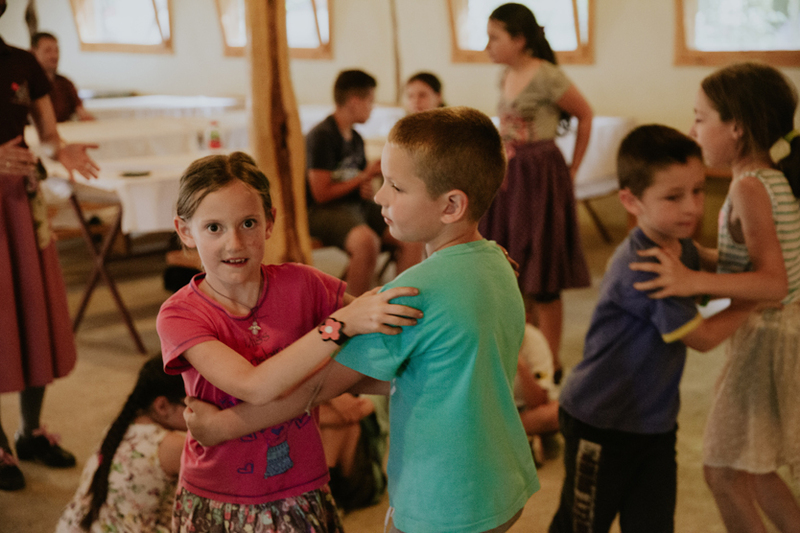 The camp was closed with an unforgettable gala show where the children and youngsters and juniors presented the lessons they learned with singing and dancing, storytelling and performing music with the camp\'s musicians, the Juhász Band. Around 400 parents, relatives and friends saw and enjoyed the many-touch show. --- This video has been produced with the financial assistance of the European Union through the Interreg-IPA Cross-border Cooperation Programme Hungary-Serbia. The content of the video is the sole responsibility of FOLKcoolTOUR projekt (HUSRB/1602/31/0154) and can under no circumstances be regarded as reflecting the position of the European Union and/or the Managing Authority of the Programme. 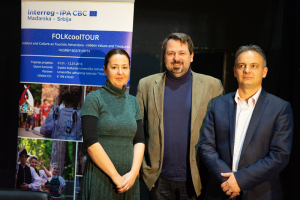 On December 15, 2018, our project “FOLKcoolTOUR - Folklore and Culture as Touristic Attractions - Hidden Values and Treasures” supported by Interreg-IPA Cross-border Cooperation Program was completed and finished with a workshop. 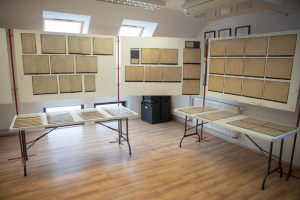 Documents that recorded the life of the Serbian community in Desk (birth, marriage and death registers) were adventurously removed from the village in 1849, and until the last years they were believed lost. 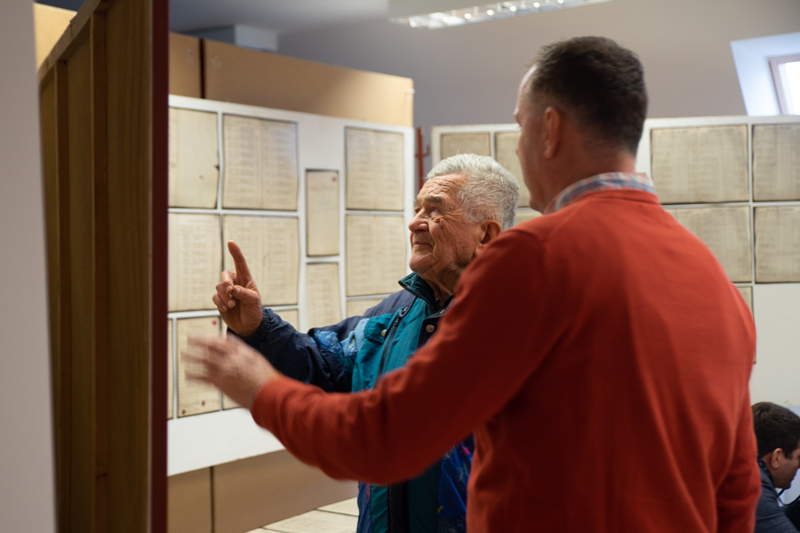 Some of them were found in the Vojvodina Archives of Novi Sad and some documents of the later years also, so it was possible to get their digital copies back home with the help of historian expert. The event was introduced by the folk dance show of junior dancers of Banat Serbian Cultural Association, then Krisztifor Brczán president of the association summarized the exemplary project with its great achievements and future ideas. Thereafter, Dr. Károly Bába gave a presentation on the research of the documents, later Dr. László Felföldi shared his research results on the marriage habits of the 18th century of the Serbian community of Deszk. The participants visited the exhibited documents and photos, and at the local history exhibition, Éva Brczán presented the work in the craft workshop of the Association, the folk handicrafts, including the world-famous gold-fiber embroidery. The weaving, embroidery and gingerbread making could be tried by the attendants, the event was closed with dinner. --- This video has been produced with the financial assistance of the European Union through the Interreg-IPA Cross-border Cooperation Programme Hungary-Serbia. The content of the video is the sole responsibility of FOLKcoolTOUR projekt (HUSRB/1602/31/0154) and can under no circumstances be regarded as reflecting the position of the European Union and/or the Managing Authority of the Programme. 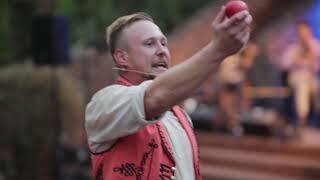 The Talentum Art Association from Subotica organized for the fifth time the Hungarian feast of Palić/Folk Music Festival on 30th and 31st August 2018, with approximately 700 participants on the magical Summer Stage. 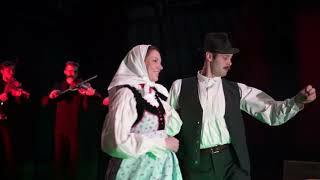 During the colourful programme many groups presented their dancing skills from Deszk, Palić, Senta, Moravica, Feketić, Orom, Hajdukovo, Bački Vinogradi and from Subotica. 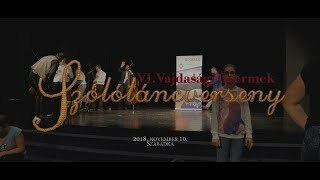 We could also enjoy the performances of ensembles from Slovakia and Romania, as well as the contestants from the Hungarian TV competition “Felszállott a Páva”. 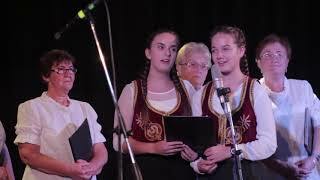 The Juhász Group introduced their new LP, the Bahorka Association had a story telling performance, while the audience had the opportunity to try out old handcrafts, to check out the handcraft fair and taste the traditional chimney cake. The programme ended with a dance programme. An additional achievement of this year’s programme is that we had two Hungarian performances from abroad, from Slovakia and Romania. This proves that folk art does not recognize borders, dance and music is for everyone, we speak one language, we dance the same dance. The feast is a joyful experience for the dancers, just as for the audience. The handcraft workshop was led by Szófia Lévay, Valéria Kosányi, Annamária Baranyi, Tímea Kovács, Ildikó Tolnai and Karolina Papp. 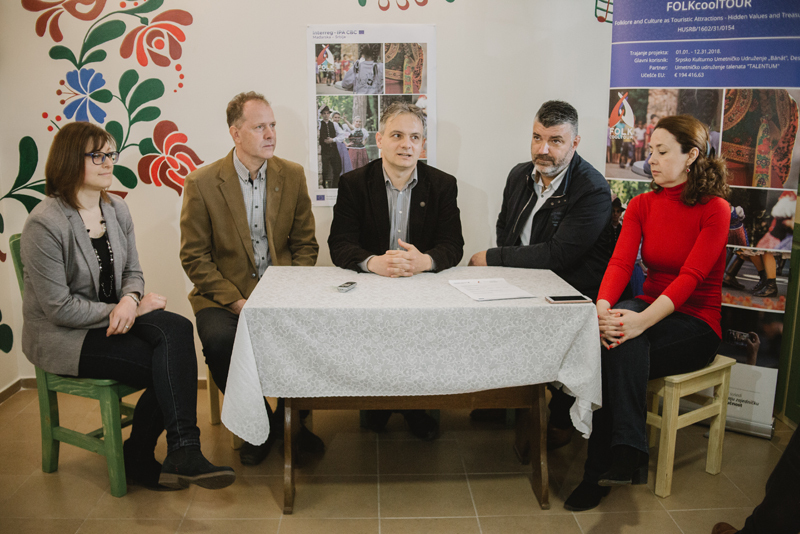 It is very important for us that in a multicultural community, like Vojvodina’s, the people living hear learn about Hungarian values. 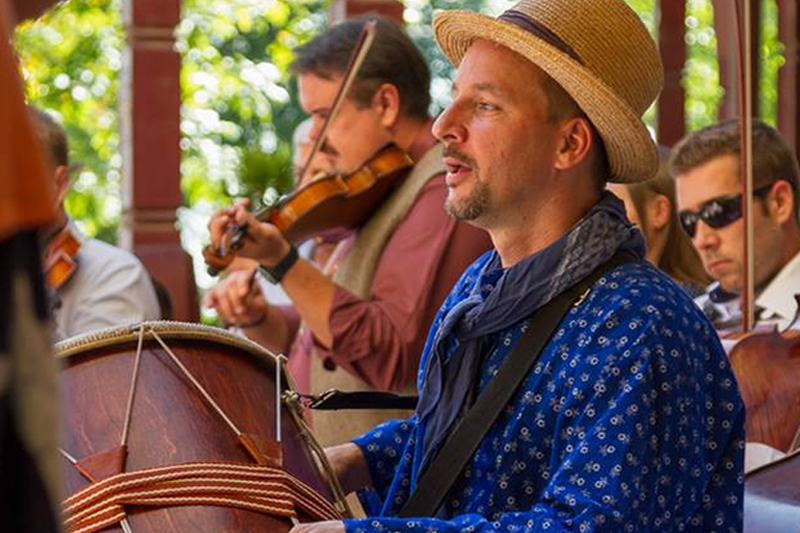 We introduce ourselves with programmes and performers that really make us proud. 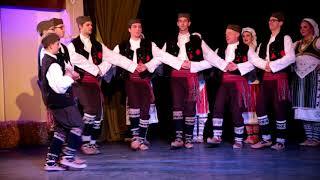 Beside the significant performers from Vojvodina, performers from the mother land also took part. --- This video has been produced with the financial assistance of the European Union through the Interreg-IPA Cross-border Cooperation Programme Hungary-Serbia. The content of the video is the sole responsibility of FOLKcoolTOUR projekt (HUSRB/1602/31/0154) and can under no circumstances be regarded as reflecting the position of the European Union and/or the Managing Authority of the Programme. On 13th October 2018, Kosztolányi Dezső Theatre’s stage was loud from the sound of dancing shoes. This theatre in Subotica hosted the Choreography 0/24 event, which we have organized for the fourth time. 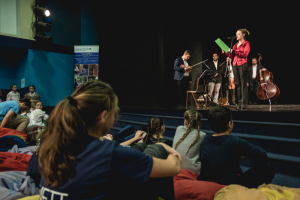 This event took over Subotica, as the drawing of lots took part in the Training, Research, Culture Centre of Vojvodina Hungarians, the workshops took place in the Hungarian Teacher Training Faculty’s premises, and the performances took place in the Kosztolányi Dezső Theatre. The basic concept is that four choreographers are invited to the drawing of lots, when they draw a specific region. The participating dancers come from different settlements, and they are divided to four heterogenous groups by the organisers. The choreographer has no idea, which group will he or she get, while the group does not know which region’s dance they will have to present on stage in 24 hours, or who will be their choreographer. And they have one single day to put together and put on stage a choreography. 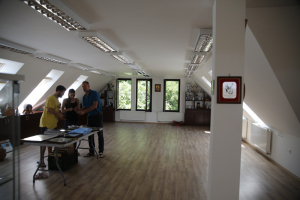 The event’s professional organizer is the Talentum Art Association from Subotica. The Choreography 0/24 event is organized every second year. This year there were 24 male and 30 female contestants, most of them from Vojvodina, seven from Budapest. The invited choreographers came from Vojvodina: Zsolt Szécsi, Csaba Patyerek, Zsélykó Kiss, Balázs Cseszák, they had the task to prepare their groups of young dancers for the competition. The given parameters were the drawn-out regions: the Rábaköz, the Szatmár, the Mezőség and the Dél-Alföld. The competition’s juries were Gábor Szűcs (Jászság Ensemble) and Szilveszter Sikentáncz, the time limit for the performances was 7 minutes with live music by Juhász Band. The jury found Balázs Cseszák’s piece the best. --- This video has been produced with the financial assistance of the European Union through the Interreg-IPA Cross-border Cooperation Programme Hungary-Serbia. The content of the video is the sole responsibility of FOLKcoolTOUR projekt (HUSRB/1602/31/0154) and can under no circumstances be regarded as reflecting the position of the European Union and/or the Managing Authority of the Programme. It was the 8th meeting of Ajvariada of the Serbian community in Deszk, this time more than 3,000 guests participated from both sides of the border. The event worships gastronomy and folk-culture, with domestic and international performers and participants, this time in the frame of ’FOLKcoolTOUR - Folklore and Culture as Touristic Attractions - Hidden Values and Treasures’ (HUSRB / 1602/31/0154) Interreg-IPA CBC Hungary-Serbia project. 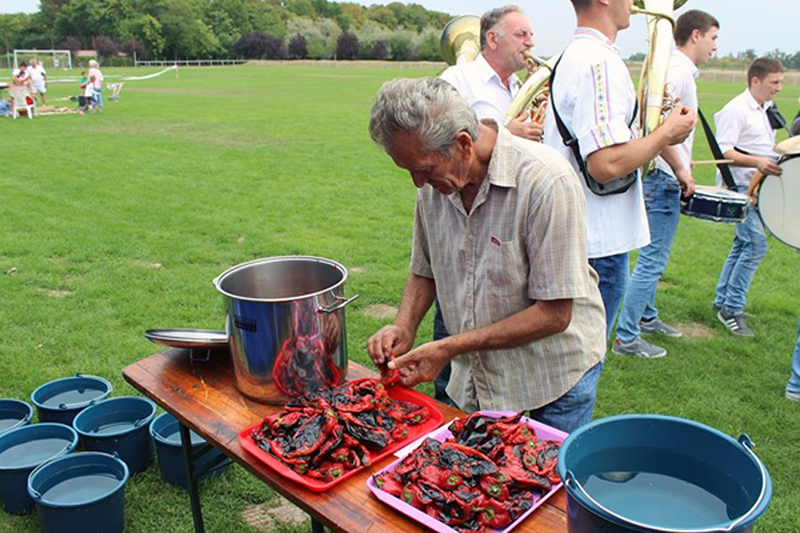 The teams from Hungary and Serbia were competing not only in the flavors, but also in their skills of paprika pulling competition while Jovanovic Orkesztar from Uzice took care of the mood. Meanwhile, there was handcraft fair and soccer tournament at the same time with archery, bus shuttles, donkey-age-bid and mass colo dancing on the sports field with about 600 participants in the middle of the day. The main attraction of the afternoon was a folklore festival with some 450 dancers from the 17 dance groups, including young talents of project partner Talentum Art Association of Subotica. The evening was completed by a spectacular light theater, followed by a party and folk dance house until dawn. --- This video has been produced with the financial assistance of the European Union through the Interreg-IPA Cross-border Cooperation Programme Hungary-Serbia. The content of the video is the sole responsibility of FOLKcoolTOUR projekt (HUSRB/1602/31/0154) and can under no circumstances be regarded as reflecting the position of the European Union and/or the Managing Authority of the Programme. In 2018, the Association organized the folk dance and folk music camp (Banat Folk Dance Camp, Tambourine Camp and Folk Festival ) again., this time as an event of FOLKcoolTOUR - Folklore and Culture as Touristic Attractions - Hidden Values and Treasures (HUSRB/1602/31/0154) project supported by Interreg-IPA CBC Hungary-Serbia Programme. Junior members and dancers of project partner, Talentum Arts Association of Subotica attended the week and closing folk festival, the main goal of the camp was to preserve, maintain and deepen traditions of folk culture, of course besides allow the children to make friends and spend time usefully. In addition to learning dance and instrumental folk music, there was time for excursions, museum visits, free play and adventure park, community experiences, handcraft with the keen to leran and understand the hidden treasures and values of parallel cultures and traditions. The camp was closed by folk festival where they presented the weekly choreography and artwork. Go ahead next year! 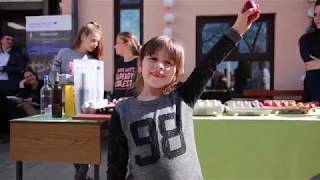 --- This video has been produced with the financial assistance of the European Union through the Interreg-IPA Cross-border Cooperation Programme Hungary-Serbia. The content of the video is the sole responsibility of FOLKcoolTOUR projekt (HUSRB/1602/31/0154) and can under no circumstances be regarded as reflecting the position of the European Union and/or the Managing Authority of the Programme.